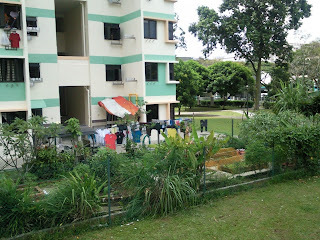 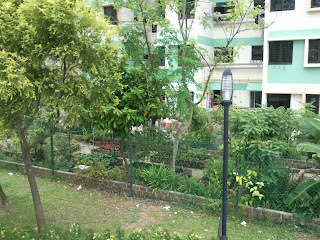 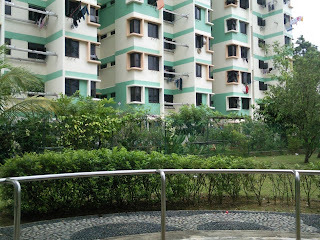 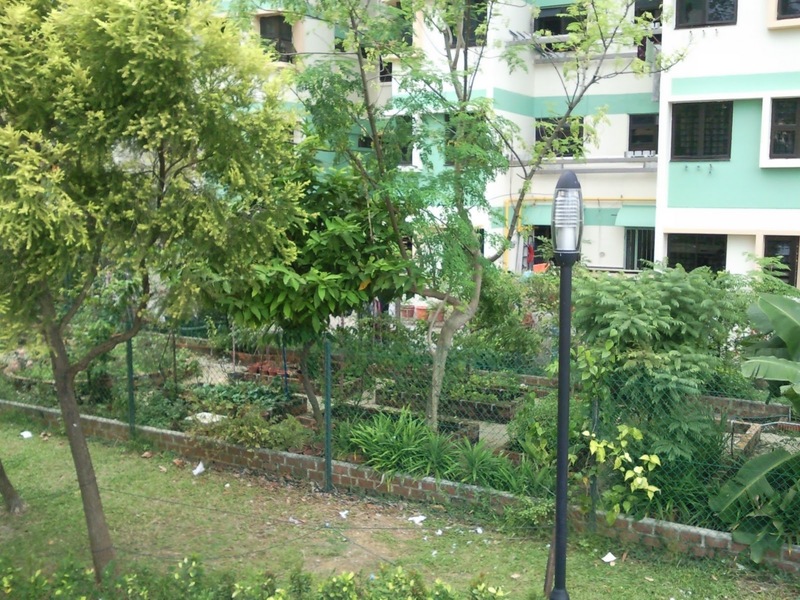 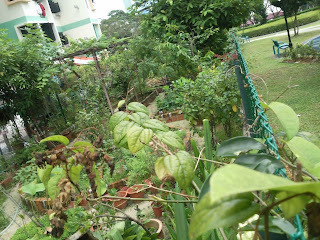 Yesetrday, I went to look my friend at this hdb blk in Boon Lay and saw this plot of land being utilised as a "farm" . 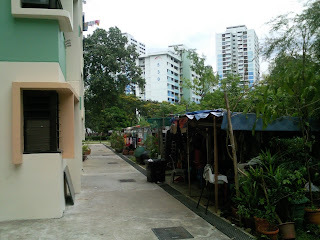 Curiously I asked about this plot of land, my friend's mum told me this land belongs to 1 of the housedolder on the 1st floor of Blk 211, not the government. This householder whom I called him Mr Rich bought this land from HDB for a sum (maybe around ~S$15,000, can't remember how much). 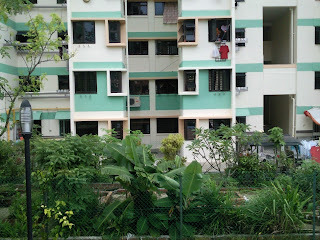 Mr Rich used to lived in a bungalow and downgraded to this 3-room hdb flat few years ago. 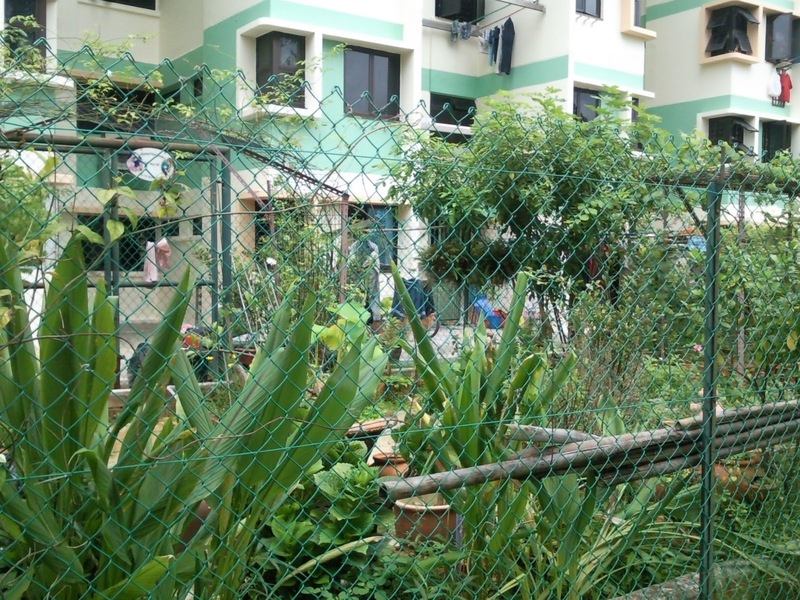 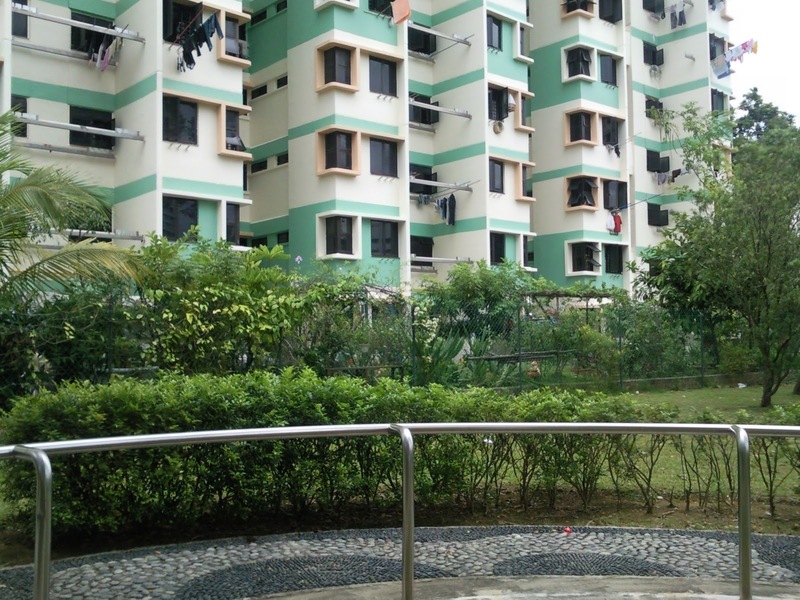 After paying off for this 3room hdb flat and with some spare cash on hand after selling the bungalow, he/she bought this plot land for farming plants/fruits trees and keeping some animals. 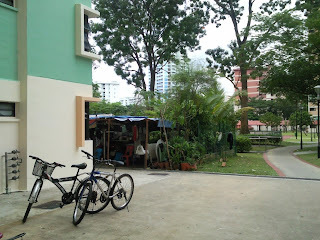 Very ideal for gathering and relaxing! 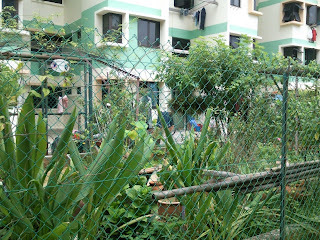 Maybe I should start to save up for my plot of dream land from today !